To put it bluntly, our fishing is incredible. 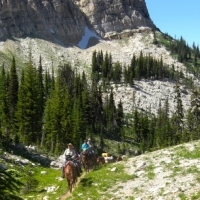 Western Montana has some of the most pristine, undisturbed waters nature has to offer. Our rivers, lakes and blue-ribbon trout streams provide competitive fishing for the serious angler and easily accessible options for the casual fisherman. 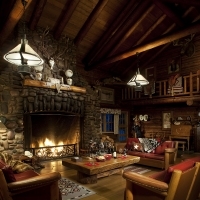 And no matter where you choose to cast your line, you can be assured our riffles, runs, pools and seams are set among some of the wildest and most beautiful country in North America. For starters, fly-fish the Blackfoot River—made famous by Norman Maclean’s A River Runs Through It—as it winds west before joining the Clark Fork River. 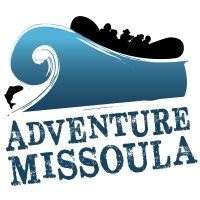 The Clark Fork runs through the heart of downtown Missoula. Simply grab a rod and head down to the river’s edge. Or try the fishable waters of the Middle Fork of the Flathead as it makes its way through deep, quiet canyons with Glacier National Park peaks in the background. 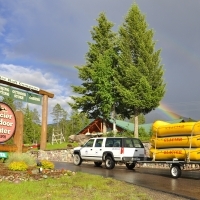 And if you're looking to fish in an even quieter part of the region, head to Lincoln County and cast your line in the Kootenai River. 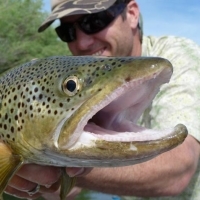 In addition to world-class fly-fishing, we also have some of the most experienced, professional and friendly fishing guides and outfitters around, ready to take you to their favorite fishing hole, help you land your trophy trout and make your excursion as enjoyable as possible. 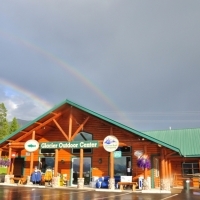 For more information on Outfitters and Guides, visit montanaoutfitters.org. 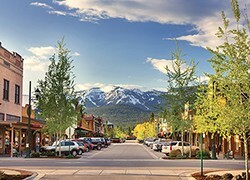 The spirit of an active mountain town. The endless adventure of Glacier National Park. 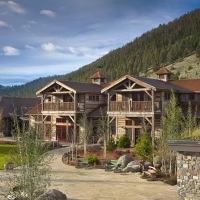 Your spring escape awaits in Whitefish, Montana. With rivers aplenty in Western Montana, there is truly no lack of locations to cast your line. The map lists easily accessible fishing access sites around the region. In addition to these sites, there are many fishing locations found in national forests and wilderness areas in Glacier Country. 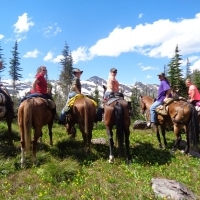 Most of them require a short hike or a longer journey to a high alpine lake. 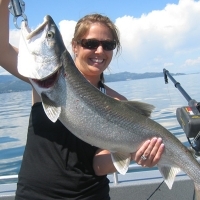 In Montana, fishing methods vary with the season, the type of water and the angler's personal preference. Fly, spin and bait fishing are all popular techniques, although the use of bait is restricted on some streams. In general, most fly fishers use five-, six- or seven-weight rods that are around eight or nine feet long, while spin and bait fishermen favor medium-action rods. Ultra light spinning gear is also popular. Wading is the most common technique along streams and rivers and hip boots or waders are definitely wanted and needed. Waders also help improve traction on slippery stream bottoms. 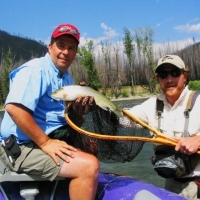 Float fishing is an increasingly popular activity, especially on larger rivers. Please keep in mind that some rivers can be volatile in high water. Inexperienced floaters should inquire about water conditions and possible hazards before hitting the water. Our recommendation: hire a local guide to help direct your float fishing adventure. 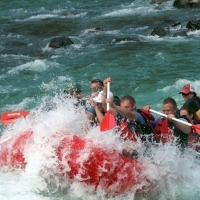 Motorized boats are allowed on most lakes and on some larger rivers. All motorboats must have a valid license, while users should wear a PFD. To help prevent the spread of invasive weeds and species, boaters should be sure to inspect, clean and dry their equipment before entering a new body of water. In Montana, you can fish year-round. However, there are seasonal regulations and water conditions that have an impact on fishing. In general, lakes and larger rivers are open to fishing all year, while some smaller tributaries are closed in the winter. Spring run-off causes many rivers to be high and muddy from May through late June, although anglers can still enjoy good fishing on spring creeks and some smaller streams. Fly-fishing will find most waters in prime condition from late June through October, although March and April can provide prime fishing before run-off begins. Winter comes early and stays late in the high country, confining alpine lake fishing to the summer months. Anglers can still cast a line through winter fly-fishing or ice fishing. 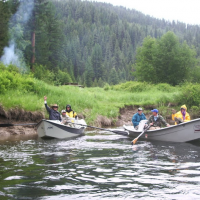 Proper fishing etiquette is important to get the most out of the angling experience, while still preserving and protecting Montana's pristine waters for future generations. Keep in mind that boat access areas can be busy places. Do your best to not encroach on another angler's space. There will be instances when a wading angler should yield to floaters, as there is no other channel for floaters to navigate. If possible, avoid using the streambed as a pathway, as this foot traffic can damage fragile aquatic habitat. Do not introduce or move fish from one waterway to another. This can have a detrimental effect on native populations, as well as reducing water and habitat quality. Use only live bait fish where it is legal and safely dispose of unused bait fish. To report fish violations, call 1.800.TIPMONT. 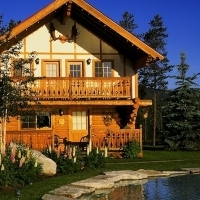 Montana's trespass law states that a member of the public has the privilege to enter private land only with the explicit permission of the landowner or his agent, or when the landowner has failed to post a no-trespassing notice. 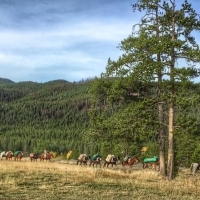 The recreationist is responsible for finding out if private lands are posted. If lands are posted, the recreationist must obtain permission from the landowner before entering them. 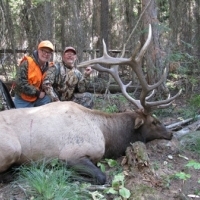 Montana big game hunters must always obtain permission. Recreationists are urged to obtain complete rules about this law from any Fish, Wildlife & Parks office. In the interest of public health and safety, certain areas above and below all Montana Power Company owned and operated dams are closed to the public. These include areas where no public access is allowed below the ordinary high water mark, as well as areas of no boating, sailing, floating of swimming. Signs and/or boat restraining systems identify the area. For specific closures, call 1.800.247.9131. 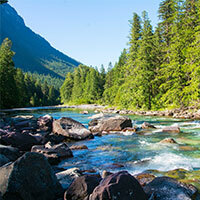 Montana law allows the public to make recreational use of rivers and streams between the ordinary high-water marks. Anglers can wade in a stream, walk along the stream bank below the high-water mark or float fish on any waters large enough to carry a boat. Please keep in mind that the law does not give recreationists the right to enter private lands bordering streams or to cross private lands to gain access to streams. The success of the stream access law depends on recreationists and landowners cooperating on a basis of mutual understanding and respect for private property rights. The tag's number and color. The date the fish was caught. The species of the fish. The fish's length and weight (as close possible). Location of the catch (the body of water and distance from nearest landmark). If the fish was kept or released. The name and address of the angler. Play the fish as rapidly as possible, do not play it to total exhaustion. Try to keep the fish in water as much as possible when handling and removing the hook. Remove the hook gently and do not squeeze the fish or put your fingers in its gills. If the fish is deeply hooked, cut the line (most fish survive with hooks left in). Release the fish only after it has gained its equilibrium. If necessary, gently hold the fish upright in the current facing upstream and move it slowly back and forth. Release the fish in quiet water close to the area where it was hooked. 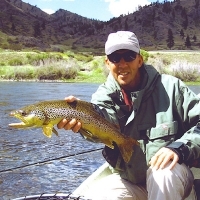 Montana's wild and native trout are one of our most precious natural resources. Whirling disease, a potentially fatal illness to trout and salmon, has been found in Montana. Please help prevent its spread and preserve our fisheries. DO remove all mud and aquatic plants from your vehicle, boat, anchor, trailer and axles, waders, boots and fishing gear before departing the fishing access site or boat dock. DO dry your boat and equipment between river trips. DON'T transport fish from one body of water to another. DON'T dispose of fish entrails, skeletal parts or other by-products in any body of water. DON'T collect sculpins (also known as bullheads) or use sculpins as bait. Noxious weeds, including spotted knapweed and leafy spurge, infest millions of acres and limit recreational opportunities. They also reduce habitat for fish, wildlife and livestock and choke out native plant species. Be a good land steward and learn to identify noxious weed species and prevent their spread. For more information, visit The Montana Weed Association. 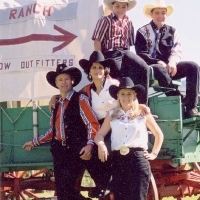 Cheff Guest Ranch & Outfitters Inc.
12127 U.S. Highway 2 E.
15600 U.S. Highway 2 E.